← Take off with Baggage! 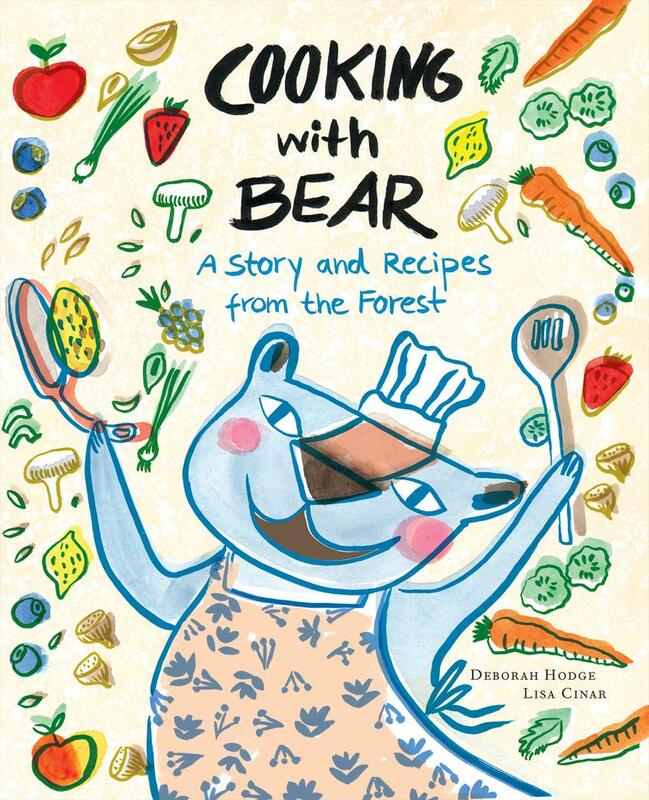 Lisa Cinar and Deborah Hodge are having a Kidsbooks launch on April 11 to celebrate their new book, Cooking with Bear, a combination cookbook and story for young children. They’d love to have you join them to celebrate! “When Bear wakes up after a long, cold winter, he makes a special spring lunch and invites Fox to join him. The food is delicious, and Fox asks Bear to teach him how to cook. They walk through the forest collecting honey, nuts and other wild ingredients, and they greet their friends along the way. With an armload of tasty foods, Bear and Fox return to Bear’s den and cook up a feast to share. Afterwards, Bear writes down his recipes so that Fox (and you!) can enjoy many marvelous meals. His cookbook — Best of Bear — offers a selection of kid-friendly, forest-themed recipes, including nut burgers, wild greens pita pizza, hazelnut–chocolate chip cookies and a wild strawberry smoothie. This entry was posted in book launches, books/writing, CWILL BC news & events, literary events, new publications, picture books and tagged Deborah Hodge. Bookmark the permalink.